After a great three day visit less than a fortnight earlier, I decided to try my luck again, booking flights the evening before. 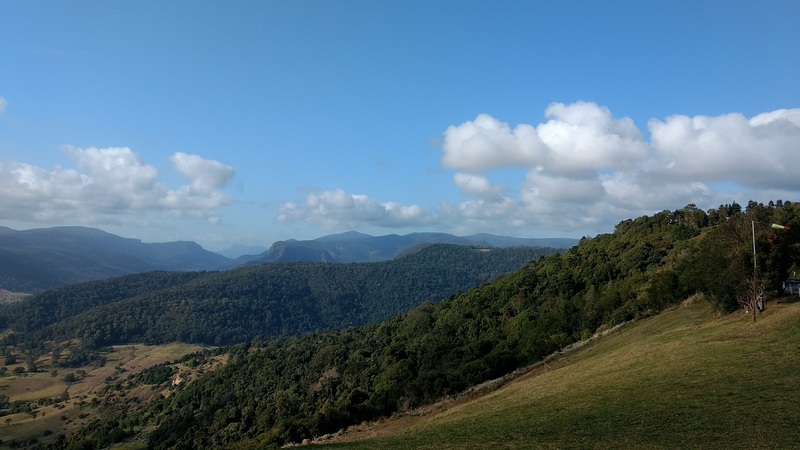 The next morning I was among a dozen or so paraglider pilots on Mt Tambourine launch, but only the hangies were flying – winds were stronger than expected. In my mind the logical thing to do was to change the plan to a hike and fly of the Fort, but the others needed some convincing! In the end five of us made the trek. It glassed off beautifully and we watched the smoky sunset (see more photos here). Then I hitched a ride to Beechmont to try my luck with the southerly change the next morning. It was windy alright – but I could fly – and later the day changed. Making it up as I went, I started to attempt a triangle but got flushed half way. Landing on a remote road a surprised couple stopped for me. They were very interested in having a chat, which was nice. 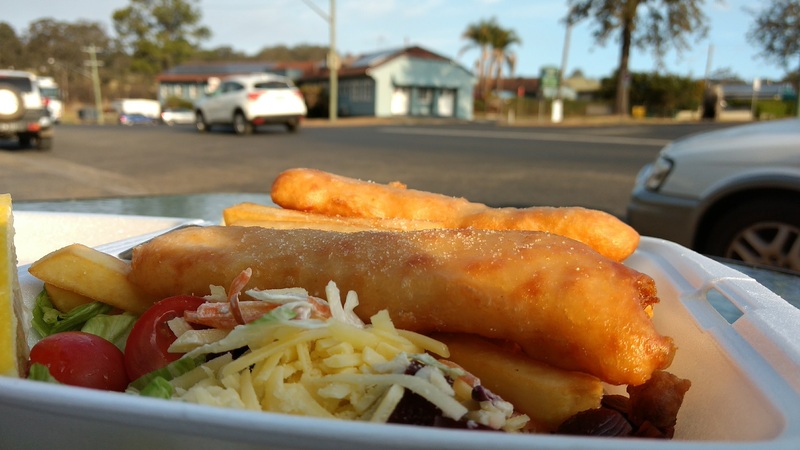 In Woodenbong I spared myself some time for fish and chips and a beer. Standing in the setting sun outside Woodenbong I realised there wasn’t a lot of traffic, and wondered if I’d been a bit brash with my relaxed hitching style. But within half an hour a 63 year old local fella said he was going to Nerang – perfect! Lee had an in depth knowledge of the surrounding countryside and it was another interesting chat. Andrew my friend who has recently set up The Odd Gecko bed and breakfast put me up for the night in Canungra, and dropped me at Beechmont the next morning. The night before I’d planned out the most inspirational flight I could think of – an early morning run down the Numinbah valley along the Mt Warning caldera, then cutting west to make a 100km triangle – with Andy my lift back to Brisbane saying I’d need to be back at the car by 4:15pm at the absolute latest. He was still driving down so I took off first – and nearly bombed – but just hung in there, and things got much better. A long story short and I made it back, Andy had a great flight as well (see our doarama tracks in 3d here), and we were both able to get home, just in time! do you reckon this is better than Tambo? to the car and drive over to pick me up? just cruising home and we see Phil Hystek on the highway – look at him go! 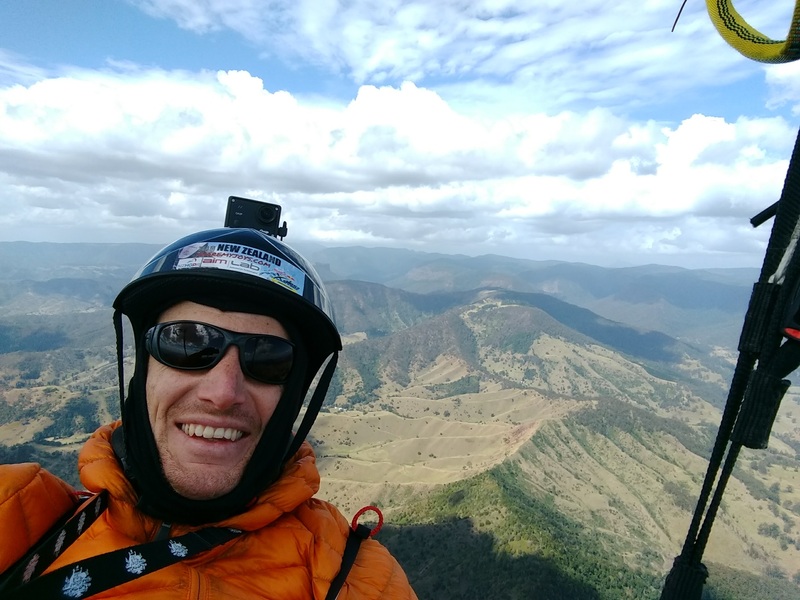 This entry was posted in Uncategorized and tagged adventure, australia, flying, hike and fly, paragliding, parapente, Queensland, share my joys. Bookmark the permalink. Great story, and you managed to rescue Andy! 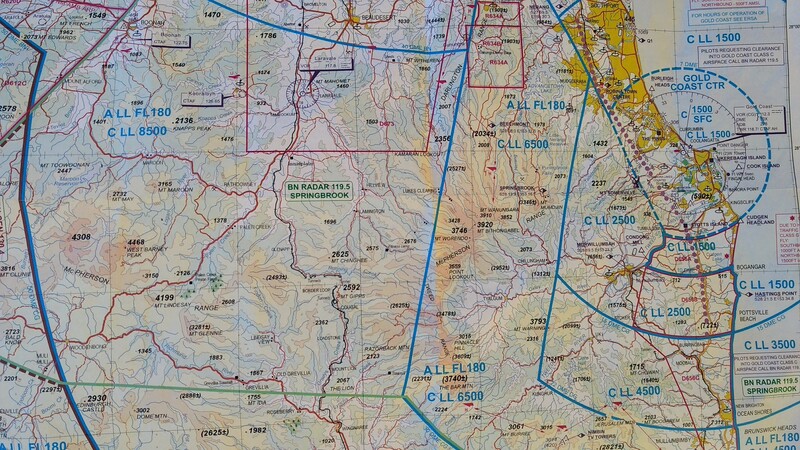 there are a few technical valleys at the back of Byron that await your exploration… the invite stands. Nice work mate! Really inspiring!